Download Barcode Label Software – Professional to create barcode labels in different colors, shapes and sizes as per your need. 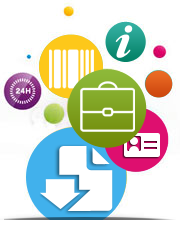 Facilitates user to have full control over all barcode dimensions and features. Software create customized barcode labels using different designing objects (like Line, Ellipse, Pencil, Rectangle, Text and Picture).